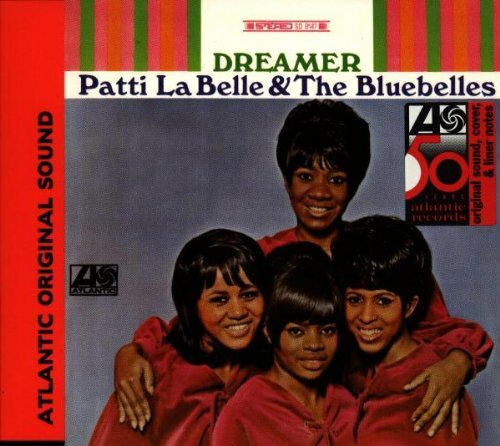 It should come as no surprise that Atlantic Records believed, not so foolishly, to keep Patti, Nona, Sarah and Cindy in the vein of updating standards and chestnuts with their soaring harmonies and Patti’s powerful leads. This formula had brought them Top 40 success at the much smaller and slowly faltering Cameo-Parkway label during 1964, so bigger budget, a full LP, what could possibly go wrong? Given that the Girl Group world had basically sunk into the sea like mythical Atlantis by the beginning of 1966 didn’t help. The Supremes were Noah’s Arc, with The Marvelettes and Martha & The Vandellas sailing side by side staying afloat by this point, and the Top 40 looking remarkably bare of female voices considering the bevy that ruled the roost only a short time before. It might have been a mistake, after the relative failure of “All Or Nothing” to keep on with the standards path. Nonetheless, Patti does find new life to in notes and nooks in material such as this song that has seen more folk than soul interpretations. As the Sun starts to wane in daylight every day now, and official summer lowers itself into Fall, it seems like the best discovery to share and we start closing out yet another year. Remember these days, and spin tunes to your memories.